Russ Swanson Outstanding Bandsman Award presented | UNL Band Alumni Association, Inc. 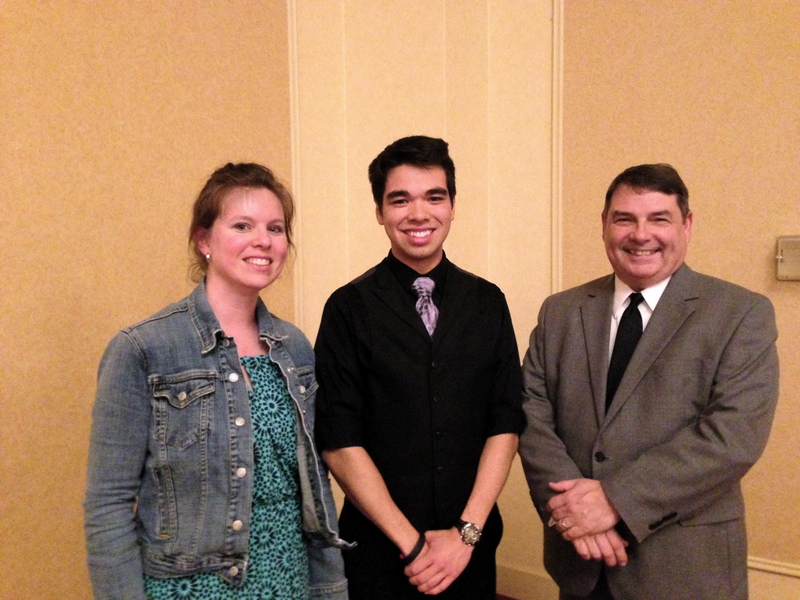 The Russ Swanson Outstanding Bandsman Award was presented Friday night at the band banquet, held at the downtown Holiday Inn. The deserving recipient was Brian Vuu. Brian is a Senior Music Education Major (Saxophone) from Lincoln (Southwest High School.) This year he served as one of the Drum Majors, and last year was Alto Sax Section Leader in the CMB. 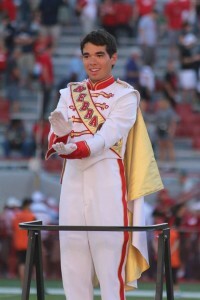 Along with Marching Band he participates in the Jazz Orchestra, Wind Ensemble, Saxophone Quartet and Saxophone Choir. He also sings bass in the Vocal Jazz Ensemble. The award was renamed in 2012 in Russ Swanson’s honor. Russ was a french horn player in the marching band and was a part of the 1941 Rose Bowl Band. He was also a WWII veteran serving on an air bomber crew. He was a charter member of the Band Alumni Association in 1974 and was on the board until a little over a year before he died in 2011. He and his wife were dedicated volunteers for activities of the BAA board. This entry was posted in Band Alumni Association, UNL Bands. Bookmark the permalink. I do not know Brian though wish him the BEST. I did know Russell Swanson, and I think the award’s name with some punctuation changes says it all: Russ Swanson, Outstanding Bandsman. He was in the 1940 Rose Bowl band; his son Bill played trombone with me in the late 1960’s. He and his lovely wife stayed active with the Alumni Band Association for decades. You ARE the Best, Russ; we miss you and appreciate ALL that you’ve done for our organizatioN.